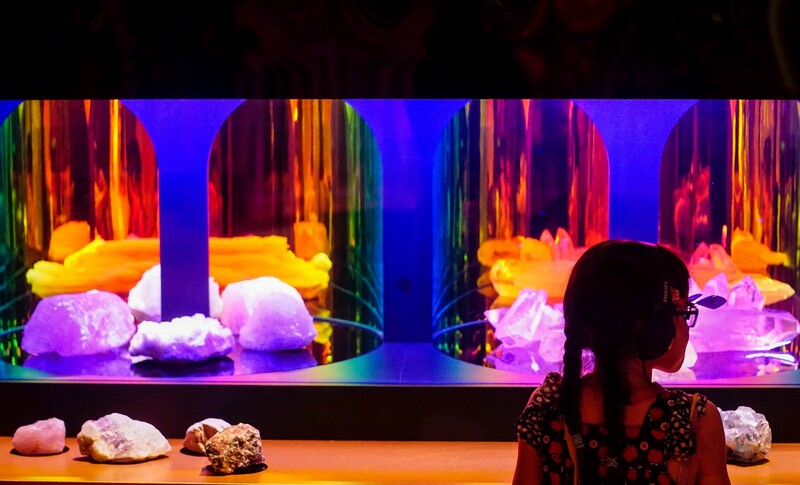 On show for a limited time only, Inside Out is a rare and surprising museum experience. Let’s call it a love song to Museums Victoria’s mostly unseen collection of more than 17 million objects. It’s a diverse arrangement of our most beautiful, intriguing and downright bizarre collection items, dusted off and dressed for show. A team of curators has lovingly selected 370 extraordinary items from our vast storerooms, many on public display for the first time. Each artefact has been reimagined with unique presentation and captivating storytelling. While I love a marketing team with a healthy dose of hype and bravado, there is one hackneyed phrase...it’s “dusted off”. It goes along with all of those articles that make you cringe as a museum professional — you know, the ones that talk about the amazing item ‘discovered’ in the dusty archives. As anyone who has spent any time in a collection store knows, the idea that our collections have been abandoned to layers of dust is just bunk; or that we have no idea what is in the collection, is quite the insult to professionals. Regardless, it is that kind of angle that that the team at Museum Victoria have embraced for their summer exhibition Inside Out which has closed today. And I get it: conveying the message that we can only ever show you a tiny slice of what we hold is sure to invoke curiosity, but I just don’t think you need to imply that we’re not looking after the rest of the collection whilst we do it. It becomes a fascinating time when there is a change in leadership in cultural organisations. It often triggers a series of effects that take a long time to emerge, but often there is a new, more immediate urgency to showcase something different. Melbourne Now was put together quickly after Tony Elwood returned to NGV in 2012. It signified a shift for the gallery — one which would now connect to both contemporary practice (gettit? now? ), but would also unashamedly set out a big, bold agenda across both sites, and shift the markers internally within the organisation regarding what it could or should do. The exhibition and its extensive program did re-position the organisation in the mind of the cultural sector, and certainly put the staff through the wringer. It was one of those situations where staff either stepped up, or stepped out. The show was undoubtedly a success, both from a cultural practice, attendance, philanthropic and brand positioning standpoint. But the toll on the staff was significant. Some survived; many did not. Many eager new staff members joined the organisation through this period too. This approach of setting up a big hairy goal, and using it to drive change from both in and out seems similar to what Museum Victoria is attempting with Inside Out. The first hint that this exhibition may be less about audiences, and more about internal change: it’s very short run: 23 December to 11 February. As anyone who has programmed summer exhibitions would tell you (and I’m sure many inside MV would have said this) you don’t open a show just before Christmas. Journos have clocked off, the punters are distracted, your marketing buy is crowded and expensive, and shaking down a show just before your staff go on leave isn’t a great recipe for a quality experience. Also, running a show with this level of investment, as a ticketed show, for such a short run is also not exactly the received wisdom. Check any recent visitor survey and you’ll find the top two sources of awareness are social media, and word of mouth. For those two factors to have greatest influence, you need some time; it’s also why the time immemorial practice of ‘papering the house’ is so valuable early in a theatrical run. I’ve no idea how the exhibition has performed statistically or financially; but our visit was quiet. But, if the mission here wasn’t about visitor numbers — perhaps it was about something else. I still get a kick from visiting collection storage areas. In my current role, I’ve been having to think a lot about how and where we store collections. It means when I’ve been traipsing around, visiting other organisations — I’m often asking to go see collections storage. There is something magical about these spaces. It is probably is linked to my slightly obsessive qualities about organising things. I know for others it serves as a calming, almost spiritual balm — rows of neatly ordered items, sorted by type or chronology — with a healthy dose of the serendipitous. Having spent quite a bit of time in Wellington over the past year or so with my involvement with Te Papa and Mahuki, I’ve especially been fascinated by the additional measures that storing collections in a geo-technically complex zone creates. eg. Bolting giant stainless steel tanks of pickled fish to the floor. When I first joined MAAS, I remember the joy of exploring the Museums Discovery Centre for the first time. It was completely mind-blowing. It triggered the same question that I think naturally comes to many: if we have all this stuff, why aren’t we exhibiting it? It falls in to the same category as why don’t we digitise everything, but it is a fair question; and one I’ve often needed to explain to public sector colleagues (often whom work in Treasury) who from an economically rationalist perspective wish to know why we would keep it, if no-one can see it. (2) Create a new permanent exhibition space designed for mass collection display — which internally became known as the ‘Vault’ due to the fact it was located deep within the Museum on the bottom floor. 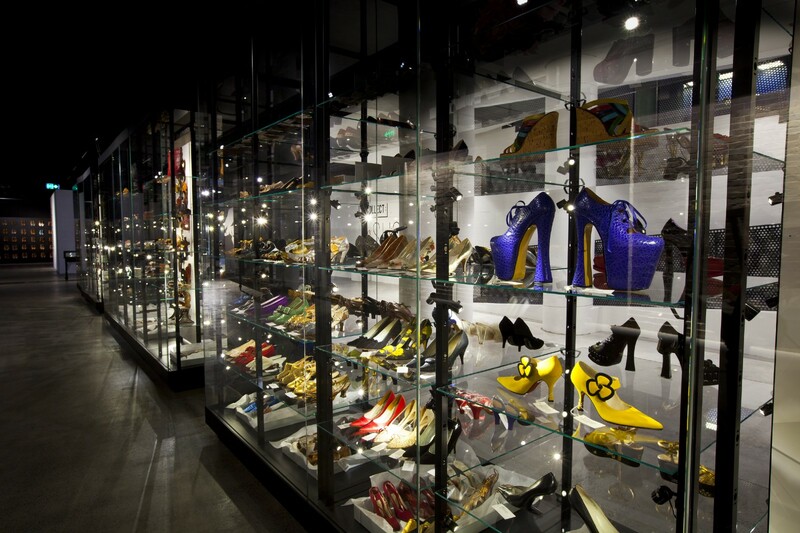 The Recollect series has allowed the Museum to take a ‘slice’ through the collection — from cars, to shoes, to ceramics. There has been six recollection exhibitions since 2014. The current iteration is focused on Health and Medicine. The Vault is a space that has been stripped down to the very functional, polished concrete floors, raw brickwork, a slightly darkened mood and exposed services above. Why isn’t there more information with the objects? This exhibition is part of the Recollect series, and as such is designed to be a kind of open storage that the public can view. We encourage visitors to bring their own interpretation and react with the objects instinctively. Which I can’t really imagine any VSO ever saying, but there you go. The Recollect series has been great for showcasing the depth and breadth of the collection — but it’s not without it’s challenges: changing over very large numbers of objects is incredibly time consuming, and the temptation to start making an exhibition (as opposed to making a selection of the collection) is a fine line. I’m still waiting for MAAS to do the “everything red” or “just the stuff from 1977” Recollects, but I suspect I’ll be waiting a while. 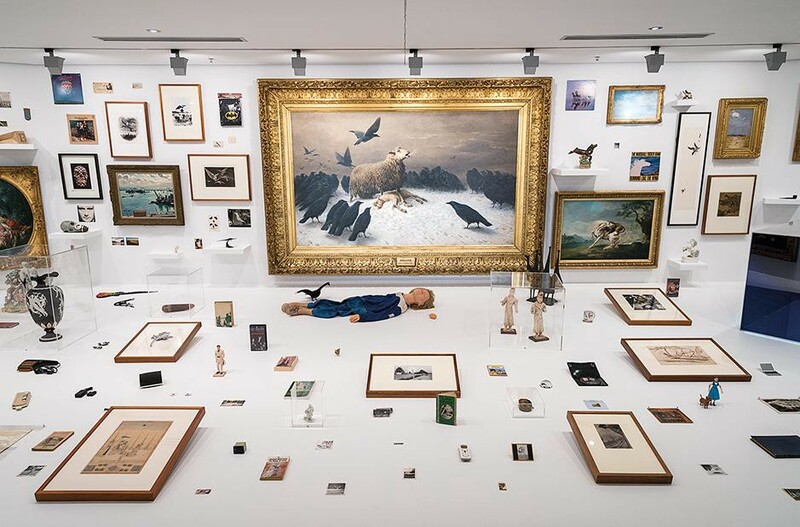 I really loved this display — somehow it was both entirely respectful of the art of collecting, and simultaneously drawing into question why certain items are revered, and others are just, well, stuff. This frustrates some visitors who want it spelled out; others are more than happy to explore and find their own connections amongst the array. The biggest experiment in massed display I’ve been part of is the Museums Discovery Centre in Castle Hill. 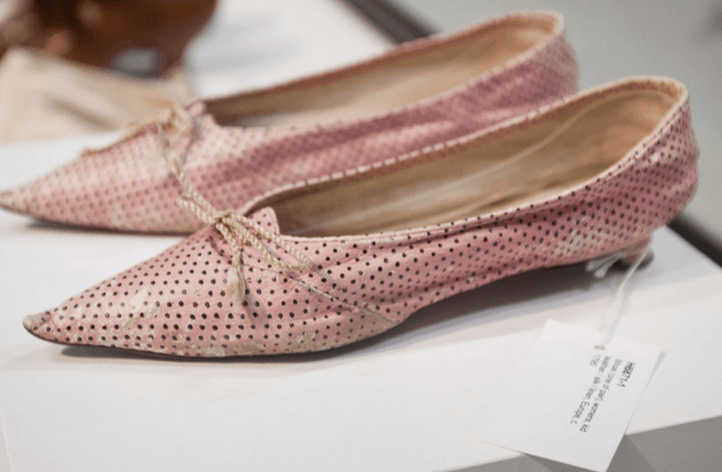 Several thousand objects are on display, and the technique is not quite storage shelves, and not quite exhibition, and it makes many museum professionals uncomfortable: like we’ve put out our dirty laundry; rather than preparing a catwalk show. This display shows various domestic items in a chronology left to right. Not shown is the top row of fridges. Some 30,000 people annually visit the MDC and explore the collections of MAAS, Australian Museum and Sydney Living Museums. Again, like Recollect, many are happy to fossick; others seek more. At MDC, a series of digital label touchscreens are available to dig a little further. 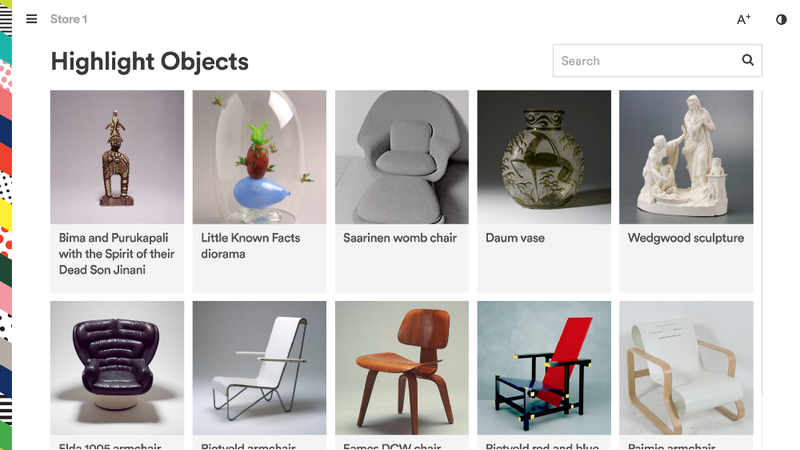 The project team also devised the rather clean “who/what/why” narrative to explore each object. The MAAS Lab blog provides loads more on how that project happened from a technical angle. If the concept behind Inside Out was change, the conceit was banning the written word. Many others have written extensively about MONA and it’s O as game changer in terms of how we do exhibition interpretation. And it’s easy to hate the label; especially when it has become so codified as a methodology of exhibition/experience making that there is literally a text book on the subject, and national awards for squeezing the best meaning into a very small plaque. Some say that constraints are a useful way to trigger creativity: but eliminating labels from the exhibition space when there is no reason to (apart from either fashion, a game or some kind of self-imposed loathing) seems unnecessary. It’s true that when making exhibitions we often default to text; so I understand the mechanism of forcing oneself to start from another medium; but by artificially excluding the written word from Inside Out, the team boxed themselves into a corner. Left with only the tools of visual spectacle and audio it removed the tool that that labels do so well: satisfy an answer to that immediate and instinctive question — what is that thing? The use of a linear audio journey immediately negates one of the joys of an exhibition: that of free choice. 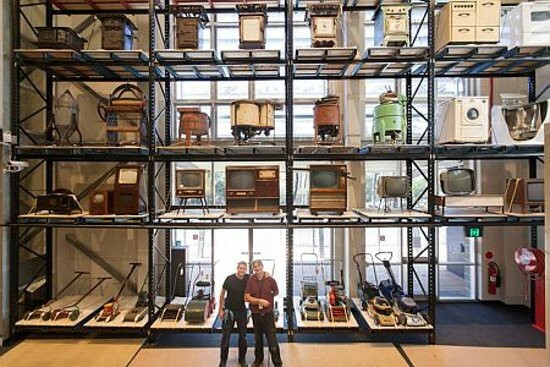 While there are many amazing audio guides that have been produced over time; most still provide agency: I have the ability to choose what’s next; or in more advanced scenarios like at SFMOMA, or the David Bowie Exhibition, have the story dynamically adapt to my free-will movement through the exhibition spaces. Inside Out provides a single journey and narrative. Personally, I didn’t enjoy the storytelling style. I found it too arch, and at times patronising. I’ll talk more about the stories themselves later. The guide provided no easy way to advance to another section (my options were pause or skip forward — I did quite a bit of the latter.) Had some simple chapter device been present I would have been provided with some basic choices and it would have restored my agency. Or alternatively, if you are going to remove my agency — make it worth it. A few years ago the I, Animal tour at Melbourne Zoo used a series of great stunts to take away agency from the visitor and reward it with playful games. I recall a great moment where the group was split into two: and got separated, and then brought back together — but now we had to observe one another as animals — each receiving a different audio track guiding our behavior and response. On my visit in early January, there were only two visit options — English and Chinese. Full props to the MV team for building out a Chinese market ready option from the get-go — this is all too rare, and is definitely one of the advantages of a single storyline, it’s easier to provide language options. There were several children in the gallery on our visit: and they had all dumped the audio guide in the first minutes and were roaming around the exhibit looking for something to do. So there is some detail on each object — but you had little chance of actually finding it while in the gallery, often a challenge with using a platform that has limited customisation such as Detour. There were a few other technical issues: I entered my email address with the hope of getting my ‘trail’ — it never showed up. And the wonderful work that the MV team put into the microsite is virtually impossible to get to. At the time I visited, you couldn’t access it from the event page on the What’s On section on the MV website — that’s since been rectified, and a range of great exhibition images added. In this display we were invited to sit at the ‘bar’ and hear stories about bar tending, and oddly enough dating. What any of this had to do with the minerals escaped me; beyond something about frequencies of vibration. All of us who had synch’d our tours (a nice Detour App touch) reached out at the same time to touch the minerals to feel their vibration. Sadly, nothing happened. It gives two examples of what was a challenge: if I didn’t care for stories from a Fitzroy bartender on the finer points of the Melbourne dating scene I was lost; and that there were opportunities to guide my physical exploration with audio that were missed. The microsite provides me with detailed information on what each of the mineral samples are; but I have no connection between that, the objects in the space, and the story being told. Conversely, the ‘solo’ experience with the Polar Bear (there is a lovely back-lit mirror reveal of a giant Polar Bear towering over you when you sit) was only accessible if you followed the audio instructions exactly. Two of my co-visitors had tuned out of the audio guide by that stage, and missed that experience all together. In short: if you don’t connect the audio instructions and desired visitor actions with positive reinforcement throughout — it’s going to be hit and miss what people actually get out of it. We enter a space with window and mirrors, with a flock of amazing taxidermied birds; and hidden behind, a gown hanging. There were quite a number of staff — handing out the audio guides, keeping an eye on the exhibits. I really couldn’t help but think I would have preferred a staff member/performer telling me the story and interacting with us in small groups. It would have been just as intimate; and still allowed the storytelling style. While the above may seem like I’ve highlighted the challenges with the exhibition — there is plenty to like: particularly in terms of what it means for MV’s experience making. As an organisation the MV approach to exhibition building has been stuck for sometime. It was producing solid, but uninspiring exhibits that were technically adept; but lacked spark or any bold aesthetic. Since the new Gandel Children’s Museum, Ground Up (at Scienceworks) and now Inside Out, we are seeing a marked shift in approach and ambition for this organisation. This is to be applauded; and I see Inside Out as a stepping stone to a much more interesting future of exhibition making — rather than a destination itself. And, if as I suggested at the beginning that this is more about internal change than about audiences — I hope the MV teams will use it as a fulcrum on which to lift to the next level. work: @maasmuseum director, new museum. play: theatre, design, technology and culture. all opinions here are my own.